The German townspeople preferred not to know what was going on as long as their local economy benefited from the concentration camps. We, too, prefer not to know what happens just out of sight at the places where we process our fellow animals. We even congratulate ourselves when the factory owners agree to put in a few windows. Here we go again. 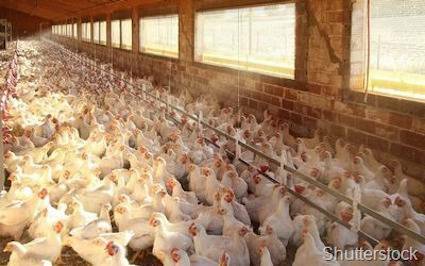 This time it’s Perdue Foods, the nation’s fourth largest “poultry producer”, announcing more “humane” policies, like having windows in at least some of the factory barns. And everyone goes ape. Like hundreds of factory farms are suddenly turning into sunny resorts. They’re not. These are simply small improvements to the lives of the roughly 700 million birds Purdue raises and slaughters each year. Other changes include gassing the birds before they kill them; looking into maybe cutting back on the drugs that make them grow so big so fast that their legs fracture when they try to stand up; and providing a few more inches of space per chicken. 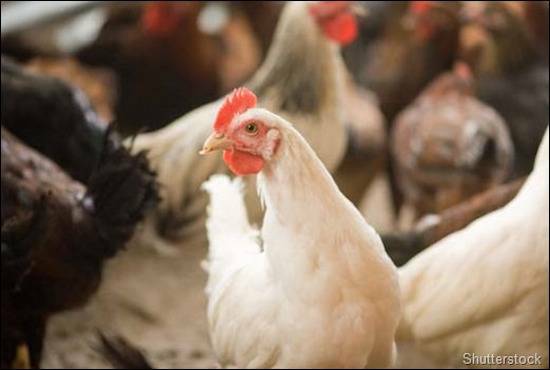 “We are going to go beyond what a chicken needs and give chickens what they want,” clucked company chairman Jim Perdue. As regards what chickens actually want, what they would prefer is simply to live according to their nature: in the wild as deeply social animals, in extended family flocks, raising their young and roosting in the trees at night. That’s a little more than getting a window and being able to stand up without breaking their legs. “People are more interested in the aspect of raising animals, and we want to be open and talk about it,” Perdue food safety manage Bruce Stewart-Brown told the media, echoing the words of SeaWorld CEO Joel Manby, earlier this year, when he promised reforms at his sea circuses. But let’s not just point the finger at Perdue and the chicken industry, nor at the animal welfare establishment that’s busy welcoming them into the “humane economy.” Perdue’s change of heart is a business decision, based on the need to balance the economic triangle of consumer, producer and product. The consumer wants an endless supply of low-cost chicken that can be eaten without too many pangs of guilt. The producer wants to make a profit. And the product is the chicken, who would rather not be part of all this. It’s all grimly reminiscent of the documentary Night Will Fall, produced from video that was shot at Auschwitz and Bergen Belsen by Allied soldiers when they were liberating the concentration camps in 1945. There’s one scene in which people from the local towns are brought to the camps and taken on a death tour of the stinking mass graves, the skeletal survivors huddled together as they cling to the barbed wire, and the gas chambers and incinerators. “We didn’t know,” the townspeople mumble as they try to look the other way. There are folks who get upset when you compare what happens at factory farms to what happened during the Nazi holocaust and to the slaves of North and South America. But the comparison is apt, and it in no way denigrates the people who suffered those atrocities. What happens to pigs and chickens at factory farms and to cows being trucked to slaughter is remarkably similar to what happened to my own Aunt Eleanor, her husband and their two sons who were living in Belgium in the early 1940s when the Nazis invaded. Along with thousands of other families, they were stuffed into cattle cars and transported to the camps, never to be seen again. Most of the cattle cars had no windows, and the people who were crammed into them would fight to get to a crack where their children could catch some air for a few moments. Aunt Eleanor would doubtless have appreciated a window and a few more inches of space. So would the chickens. Aunt Eleanor would have preferred to be at one of the marginally less horrific concentration camps like Theresienstadt that the Nazis held up to foreign media and dignitaries as model “settlements.” So would the chickens. And Aunt Eleanor would have suffered less if she’d been taken to her death in a more “humane” way, just as the animals are less stressed at today’s specially designed, “humane” slaughterhouses. But in the final analysis, these marginal improvements change nothing in our relationship to the animals we consume. They are still simply “product”. As long as we don’t have to look through them ourselves.